A lawsuit claims the Camp Fire, which killed at least 88 people, was started by a faulty transmission tower that brought dangerous live wires crashing down. The Camp Fire, which killed at least 88 people in Northern California, was started by faulty steel rings high atop an electric company's transmission tower which brought dangerous live wires crashing down, a lawsuit claimed on Thursday. A civil complaint filed in San Francisco Superior Court accused Pacific Gas and Electric Co. of failing to properly maintain a tower near the town of Pulga in Butte County, which allowed a live wire to come loose on the morning of Nov. 8 and touch off the most deadly wildfire in California history. Rings that link power lines either fell or broke off on the 75-foot-tall tower, plaintiffs claim. Some utility towers in this area are nearly a century old, according to the lawsuit by about three dozen plaintiffs and which was first reported by NBC Bay Area. "PG&E's failure to properly inspect and maintain the tower led to damage to the tower jumper extension which in turn brought the uninsulated jumper into contact with the steel tower," according to the lawsuit. 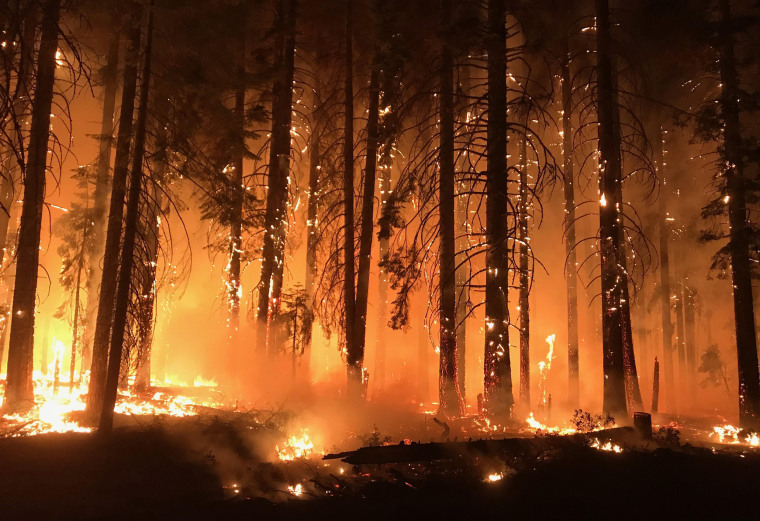 "Blazing hot molten materials dropped into the fine dead fuels below the conductor igniting the devastating Camp Fire." In addition killing at least 88 people, the Camp Fire burned 153,336 acres and torched 13,972 homes, Cal Fire has said. Nearly all of the town of Paradise was destroyed. Just days after the Camp Fire began and as it was still raging out of control, the utility said in a statement to the state utilities commission that it had warned a local customer in Butte County about "problems with sparks" near the fire's ignition point. Plaintiff's lawyer Dario de Ghetaldi told NBC News his investigators have been to the ignition point of the Camp Fire and found a downed utility tower that he believes touched off the blaze. "What's happened is that Cal Fire secured what they're calling the 'crime scene' and that they've removed the part of the tower" where the faulty rings broke or collapsed, de Ghetaldi said, using the shorthand name for the California Department of Forestry and Fire Protection. Based on PG&E's earlier admission of power sparks in the area, de Ghetaldi contended that it's a "reasonable inference," that these faulty connections caused the fire. High winds, cold, rain and hot summers in rural regions of Northern California make utility towers particularly vulnerable, de Ghetaldi said. "PG&E specifically knew that wildfire could result in death and injury to members of the public and could result in the destruction of structures and property," the lawsuit said. "PG&E needs to put safety over profits, regardless of cost." Thursday's lawsuit, representing three dozen people who lived in the burn zone, was the seventh Camp Fire-related action by filed by de Ghetaldi. He said he expects more lawsuit for additional Camp Fire victims. "It’ll be in the hundreds, perhaps in the thousands" of plaintiffs eventually brought into a coordinated civil action, the lawyer said. The Camp Fire, and concerns about any connection between PG&E and how the blaze started, has taken toll on the company's stock value. It closed at $26.03 a share on Thursday — down from its closing price of $48.80 on Nov. 7 and its 52-week high of $53.89.